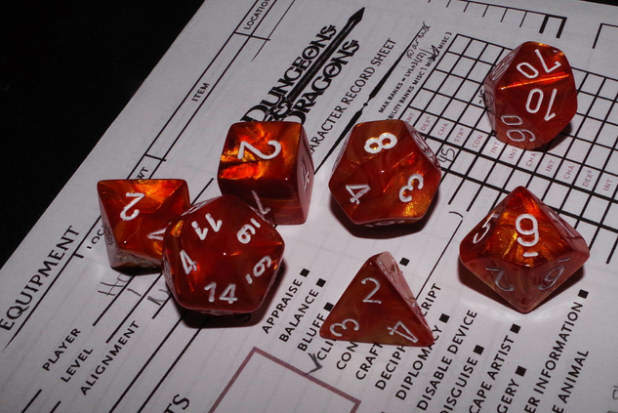 To play Dungeons and Dragons, you’ll need certain types of dice. You can usually find sets of seven to ten dice, ranging from 4 sided, 6 sided, 8 sided, 10 sided, 12 sided and 20 sided. You can find these dice at many local game store or hobby shop but if you can’t find them there, you can always buy some online at stores like Amazon. Another option is to use a Dice Rolling app on your phone or computer, though nothing really beats the feeling of rolling the dice yourself.